Nikon D90, Micro-Nikkor 105mm, f/3.5, 1/200, ISO 130. 97% of original frame. Montreal, May 2018. Great image! Very good use of shallow dof. composition works well. A well composed and artistic photograph. excellent composition, a classical one. 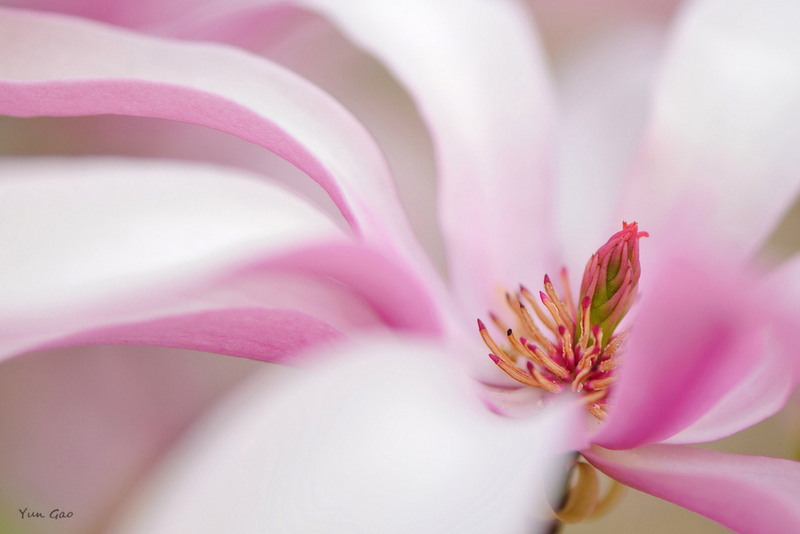 the out of focus petals are working fine, giving a soft and dreamy style. Fine off-center composition, curving petal lines, and flower center detail. +1- could not have said it better. This is beautiful. Great soft colors on the petals. Love the selective focus contrasted with the sharp, detailed stamens. Wonderful!